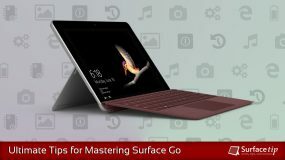 One of the key features of Surface Go is about getting the job done on the go. It is the most portable Surface PC that packs a ton of capabilities and features as its big brothers. However, one thing that most people don’t really happy about is the battery life. The Surface Go definitely won’t last for a typical working day unless you did all our ultimate battery saving tips as mentions in our article. 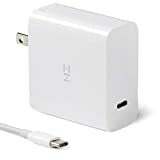 At SurfaceTip, we have done two tests already for the Surface Go charging topic, the original charger testing, and a basic phone charger testing. However, we didn’t test another potential charging method using USB-C with power delivery yet. 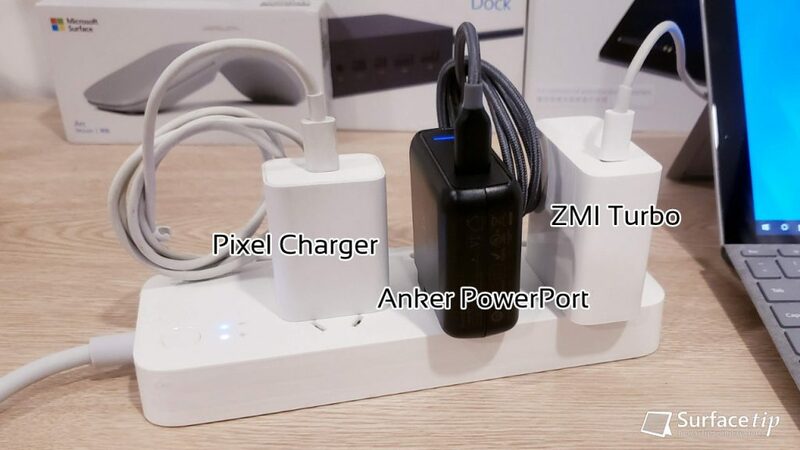 Today, we will test, not one but three, different types of USB-C PD chargers to find out how fast they can charge the Microsoft Surface Go compared to our previous tests. Can you charge the Surface Go with USB-C? 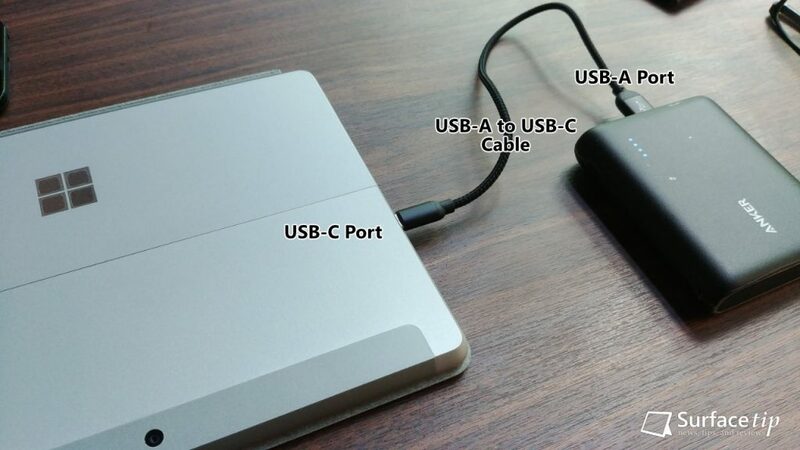 How to charge Surface Go with USB-C? In short, yes you can. 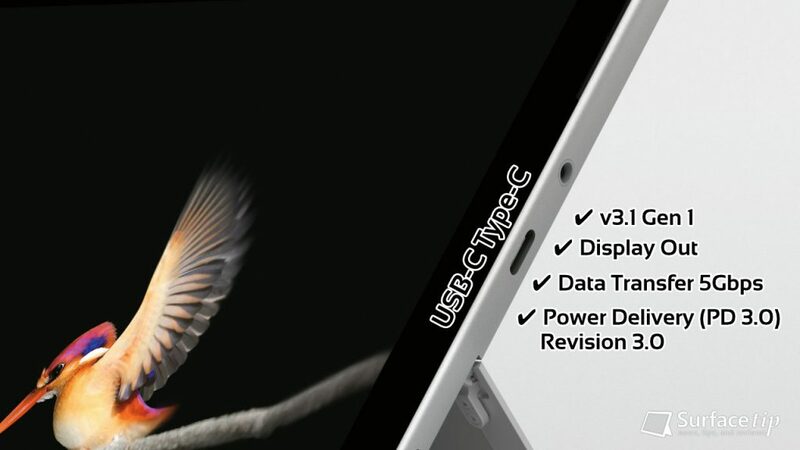 The USB-C 3.1 Gen 1 port on Microsoft Surface Go does support smart charging along with data transfer and video out capability. 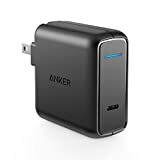 It supports USB Power Delivery revision 3.0 which supports 4 different power rules (5v, 9v, 15v, and 20v) with the ability to supply power up to over 45W. 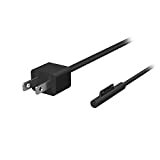 With that said, you will need a compatible USB-C with Power Delivery which rated at a higher wattage to fast charge your Surface Go. Fortunately, as we tested, the Surface Go can also be slow charged via standard USB charger as well. 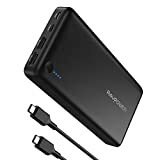 So, if you can’t find a USB-C PD charger, don’t panic, you can use any phone’s USB chargers or power bank to continue your work. 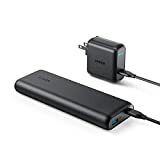 USB-A to USB-C: You can charge your Surface Go with any standard USB charger or portable power bank with a good charging rate (at least 5V/1.5A) by connecting them with the USB-A to USB-C cable. 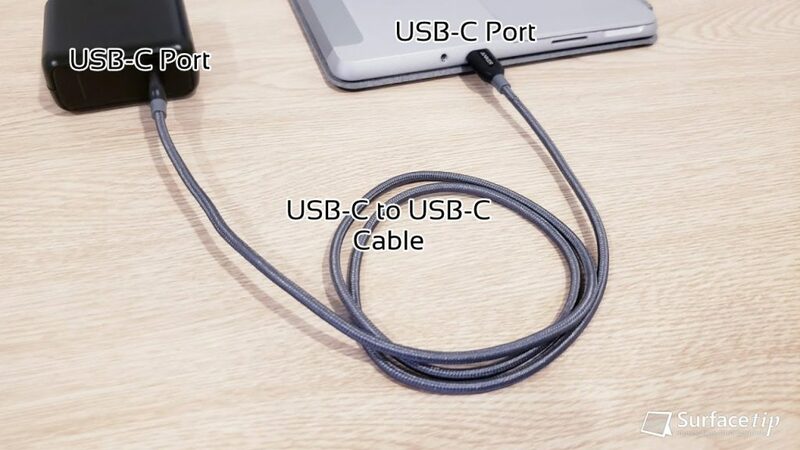 USB-C to USB-C: If you have a USB-C PD charger, which is highly recommended, and they are using USB-C port, then you can charge your Surface Go by connecting them with the USB-C to USB-C cable. Now we have an array of chargers with the power range from 7.5W up until 45W with different type charging interfaces. And now it’s time test it out, read on for the actual charging speed of those chargers. The following table summarizes the speed, duration, and charging rate of each charger. We have ordered the chargers by maximum charging rate they can offer. Battery below 80%: you can expect to get the peak charging rate of each charger. Battery between 80% – 90%: the charging rate starts to slow down to around 8W. Battery between 90% – 99%: the charging rate drop dramatically down to around 2.5W that take twice as long as between 80%-90%. 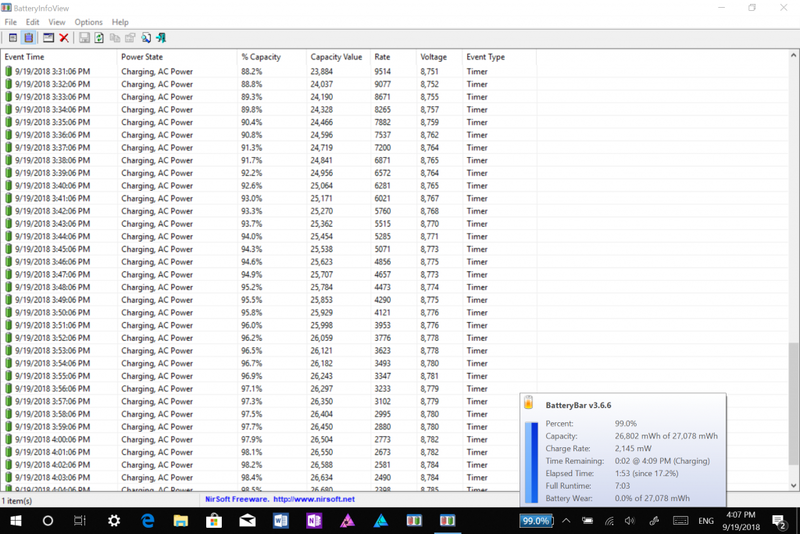 Battery between 99% – 100%: Our tested Surface Go took about 25 minutes to fully charge from 99% no matter what chargers we’ve tried. Of course, the actual charging speed depends on your device’s settings and usage. 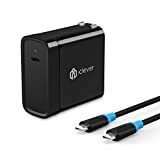 It will be much faster to charge your device when it’s off, and it will be slow as you play games or use any heavy tasks. The tool we used to track the battery capacity, speed and duration of the charging is BatteryInfoView. Beside that, this tool also has the ability to display more detail information about your device’s battery. We appreciate hearing your thoughts, questions, and ideas about “Surface Go USB-C Charging: We tested 3 USB-C PD chargers for comparison”. Please post respectful comments and on topic. We will be replying back to you as soon as possible. 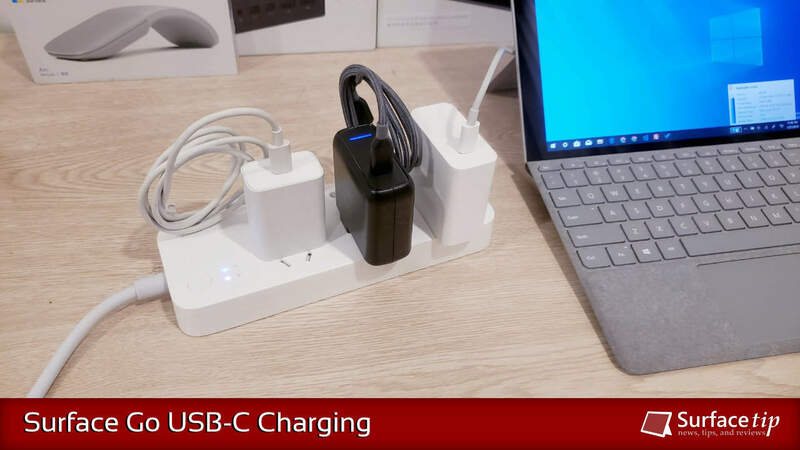 Share your idea about "Surface Go USB-C Charging: We tested 3 USB-C PD chargers for comparison".